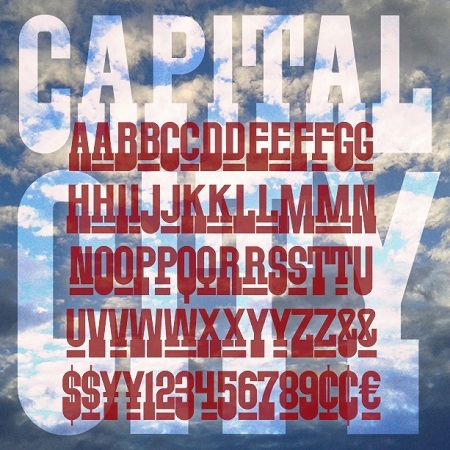 Capital City is a bold font with an all-American spirit. 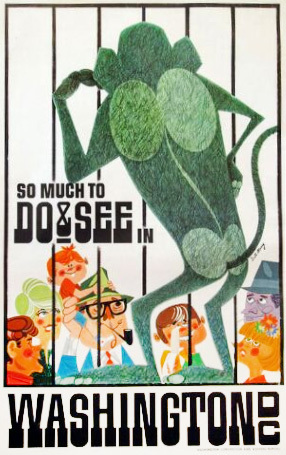 Inspired by this poster from the 1960s or 70s, Capital City has heavy slab serifs at the bottom but is sans-serif at the top. With superscript small caps.